I am so excited about the choice for the next single! I believe that with the release of ALTNOY, the fanbase for David is going to dramatically increase! It makes me so happy to read all of the great reviews on the album and I know that is going to continue with each new hit that comes along from it! I soooo agree with you Cathy! I was very excited to hear that a Top 40 station in Gainesville, Florida played ALTNOY 2 or 3 times yesterday afternoon! Before it is even released officially! There must be a great fan-base in Gainesville with a demand for David Archuleta! As it happens, that is the town I grew up in so I know it very well. The University of Florida is there with 45-50,000 students. 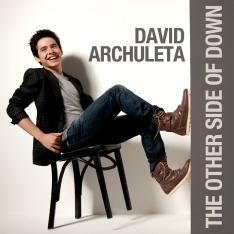 I love thinking they are hearing David Archuleta on the radio!